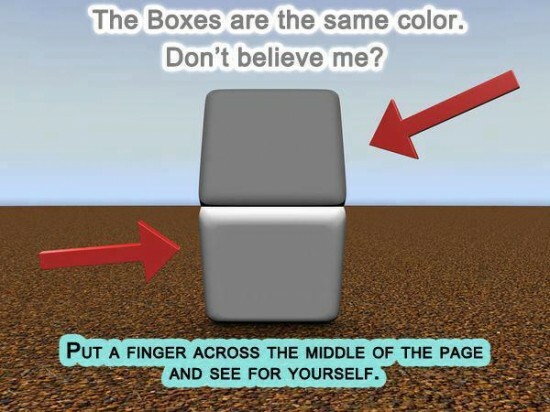 Via Alex Tabarrok and Geekolinks, I have to admit that this is one of the damnedest illusions I’ve ever seen. What’s really surprising is that if you cover up 90% of the white line in the middle and let only a tiny part show, the illusion still works. The top looks darker. The fact that both halves are the same color (which, by the way, I confirmed in Photoshop) isn’t apparent unless you cover it up completely.